Elaine Hancock (Olney, United States) on 4 November 2014 in Miscellaneous. 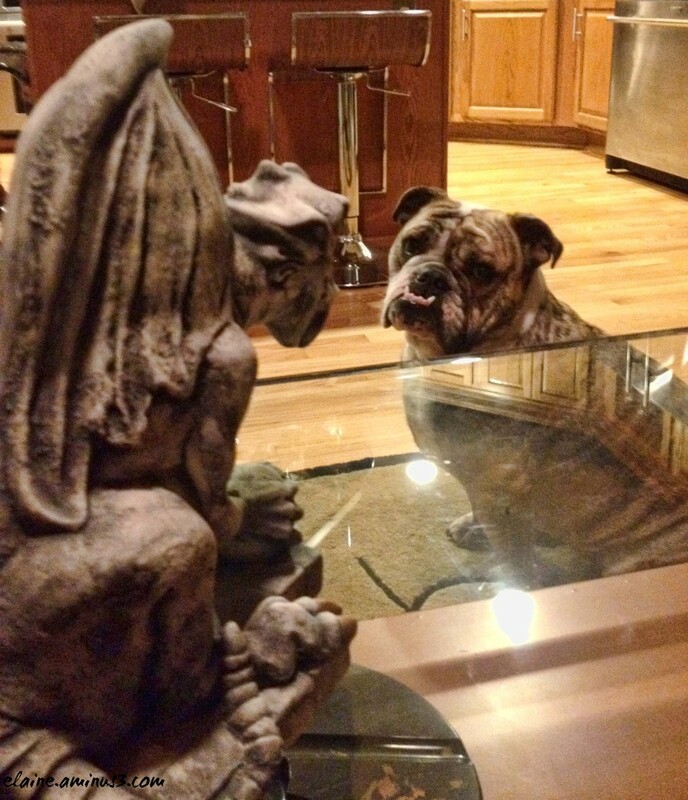 Lacy and the gargoyle! Happy Silly Tuesday! ha ha ha . . "who you calling ugly ?" !! Looks pleased to meet a long lost uncle - Happy ST! ouhhh là là ... pas content le toutou ! Très étonnant effectivement! C'est comme si le chien était fâché! The dog does fit the scene quite well. It makes a great ST shot. LOL!! An excellent PoV to make this comparison. Happy ST!! Two faces only their mothers could love.